Ever since 1995, a full 20yrs Tiger Woods has wowed the crowed time and time again, its easy when age creeps up, the body is not so open to heavy use and the crowd is ready to embrace new talents this is when times are called "tough". My opinion........Tiger is tough. 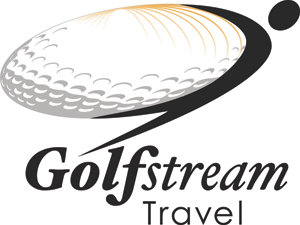 We will watch in the next three days as Tiger Woods shows the naysayers that he's not to be discounted from competition so easily, maybe it is just an opinion or just a hope for the under dog but Golfstream Travel thinks it a good bet that Tiger will place in the top ten at this weeks Masters Tournament. Tiger said he would only return to competition when he was tournament ready, I'll take that as his word and here he is ready to go and did not put himself on the tee to be embarrassed in front of the whole world. Tiger has a track record for working under pressure, the crowd and media is not always with him......why is that? Tiger has a new personal life building and the old life is in good shape too, golfing with his children this week appears to confirm all of that. The competition is NOT counting him out, especially Phil Mickleson who has great respect for all his competition. The next three days will give us some great moments in golf, will be amazing? I believe Tiger will show some true metal as he buckles down to some of the most serious golf he's ever played. Golf Stream Travel will help you plan your trip to Augusta.